Ten Basic Rules for Better Living – Manly P. Hall. The Inner Meaning of Christmas. The Moon: Queen of the Night – Andrew Rooke. Cherishing the Earth: how to care for God’s creation, by Martin and Margot Hodson. Catching the Light: the entwined history of light and mind, by Arthur Zajonc. God is Back: how the global rise in faith is changing the world, by John Micklethwait and Adrian Woldridge. Clothed in the Sun – Amanda F. Rooke. 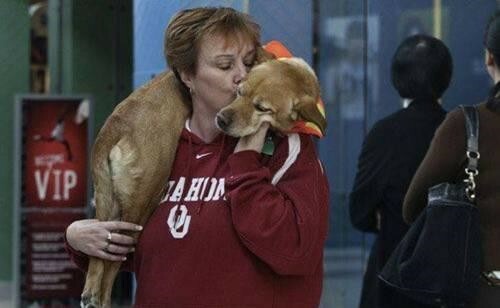 The True Story of a Dog named ‘Faith’ - Sotiria Galanopoulou. Donations to the Australasian Section. The Emerald Tablet of Hermes. conscientious citizen is false. The Egyptians realized this when they included worry among the cardinal sins. Do not confuse thoughtfulness and worry. The thoughtful person plans solutions, but the worrier merely dissolves in his own doubt. If you think straight, you will have less cause for worrying. The worrier not only suffers the same disaster many times, but undermines his health and annoys all others with whom he comes into contact. There are many things in this world that require thoughtful consideration, but there is really nothing to fear but fear. of us likes to feel that he is running his own life. The moment we recognize the rights of others to seek life, liberty, and happiness according to their own dreams, hopes, and aspirations, we begin to conserve our own resources. If we save advice for ourselves and those who seek it from us, and who are therefore grateful, all concerned will be the better. 3. Moderate ambition. There is a tendency to overlook natural and simple blessings while we plunge on toward distant goals. Each individual has certain capacities. If he can recognize his own abilities and work with them, he can attain personal security. If however, he is constantly seeking that which is not reasonably attainable, he can never know happiness or contentment. The wise man observes the disastrous results of uncontrollable ambitions, and chooses moderation. It is not necessary to be famous in order to be happy, nor must one be the leading citizen in the community in order to gratify one’s social instinct. The ambitious usually pay too much for what they get, and are the more miserable after they get it. 4. Do not accumulate more than you need. There is no real distinction in being the richest man in the graveyard. Many earnest citizens act as though there were pockets in shrouds. We are supposed to have outgrown the primitive belief that we should bury a man’s goods with him so that his spirit might enjoy them in the afterworld. Here, again, the middle course is the wisest. Let us reserve some of our energy for enjoyment, and not give all of ourselves to the task of accumulation. Many a man who has made a million has not lived to spend it. A rich life can be more practical than a monumental bank account. 5. Learn to relax. Great tension is an abomination. The more tense we become, the more stupidly we are likely to act, and according to the old Buddhists, stupidity is a cardinal sin. Today many so-called efficient people are perpetually on the verge of a nervous breakdown. This is not so likely to be due to overwork as to unreasonable driving impulses from within themselves. Some say that they are overtaking their resources to keep their jobs or to maintain extravagant families. Whether you believe it or not, you are a better producer and a better provider if you do not collapse from psychic exhaustion at some critical moment when you are most in need of good health. If your associates do not realize this, they may be in need of practical counsel. 6. Cultivate a sense of humour. As never before, we must brighten and lighten the corners where we are. The more seriously we take ourselves and our responsibilities, the duller we become. It is a saving grace to realize that, although living is a serious matter, we cannot take it too seriously. Also bear in mind that genuine humour is not bitter, cynical, or critical. It is the ability to laugh with the world and not at the world. If we must laugh at someone, keep it to ourselves. Humour is a spice to living. It adds flavour to work, zest to play, charm to self-improvement, and proves to others that we have a security within ourselves. A sincere, happy laugh, like the joyous rippling of children’s laughter, relieves tension and restores good nature. Incidentally, it makes friends and inspires confidence. 7. Find a reason for your own existence. Unless you believe in something bigger than yourself, have some purpose more vital than accumulating or advancement in business or society, you are only existing, not living. A simple pattern is to realize that the laws of Nature that put you here seem to be primarily concerned with growth. You are a success to the degree that you grow, and you grow to the degree that you become a wiser, more useful, and more secure person. In other words, we live to learn, and by this very process, we learn to live. Broaden your horizon, develop an interest in all that is fine, beautiful and purposeful. Great internal good comes from the love for music, art, great literature, broad philosophy, and simple faith. Strengthen the inside of your nature, and the outside will be better. 8. Never intentionally harm any other person. Never by word or deed return evil for good, or evil for evil. Weed negative and destructive thoughts and emotions out of your personality, or they will ultimately contribute to your misery. Even the selfish man realizes that he cannot afford to keep a grudge, and the unselfish simply will not permit grudges, to accumulate because they know better and they believe better. 9. Beware of anger. When ill-temper controls us, we are no longer able to control ourselves. In a moment of anger, we may create a situation which will require years to remedy. Why should we spend our time trying to recover from our mistakes? If we disapprove, let us state our case simply quietly, and remember that we should never try to correct another when we have already committed faults as great as his. A quick temper is a serious handicap in business or in the home. It is useless to say that we cannot control anger. This is as much as to admit that we have lost the power to control ourselves. If we resent the unkindness of others and the collective irritability of this generation, let us make sure that we are not one of the irritating factors. Sat. Jan 23rd, 2.30pm: Liquid Music – Dr Alex Rodda. Sat. Feb. 6th, 2.30pm: Prophesies for the 21st Century: where do we stand approaching 2012? – Paul Rooke. Sat. March 6th, 2.30pm: A World without Money – is it Possible? – Roza and Margarita Riaikkenen. Sat. April 10th, 2.30pm: The Inter-Life – what modern research says happens between lifetimes – Andrew Rooke. Sat. May 1st, 2.30pm: Mystic Christianity – Rev. Chris Skinner. Sat. June 5th, 2.30pm: Personality Growth: a Prerequisite of Spiritual Growth – Charles Reither. U3A classes normally commence in February and run right the way through the year till October. In 2010 it is anticipated that we will commence classes in June through October concentrating on comparative study of the religions and philosophies of India and Asia. Further information is available from Tony Downey on 0400942613. NEW ON THEOSOPHY DOWNUNDER WEBSITE: newly available on our website at: www.theosophydownunder.org are the following lectures available in the Theosophy Downunder section: Does Beauty and Ugliness actually exist in Nature? – Heathclyff St. James Deville; Nurslings of the Future – George Svenger; What you did not want to know about Metaphysics – William De Vere; The Three Truths: based on ‘The Idyll of the White Lotus’ by Mabel Collins – Jennifer Pignataro. NEWS FROM THE LIBRARY: several new DVDs has recently been sent to us by kind friends of our work. They include: The Life of the Buddha; The Healing Power of Sacred Art, by Alex Grey; Milarepa: the great Tibetan spiritual teacher; The Shift: Ambition to Meaning; Egypt – BBC Series in 2 disks dramatising the search for Tutankhamun’s tomb. To all those who through their study of comparative religion have come to appreciate that each religion is but one facet of the central truth underlying all religions, the Christmas season is one of special interest. In our day and age, Christmas is associated with the Christian story of the birth of the Christ-child in the manger of a small inn near Bethlehem. That child was the son of God, and Mary was his physical mother. He was the God-Man, the one in whom God and man was blended. To the simple, yet profoundly symbolic story, as it appears in the Gospels, many legends have been added and along with the religious tradition, many other secular traditions and customs drawn from various sources are now considered to be an essential part of the Christmas legend. Holly and mistletoe came from the Druids of ancient Britain, Santa Claus from the Teutons, and candlelit Christmas trees from the Norse. It is important to remember that these other traditions and customs did not arise as the result of the spreading of Christianity – they were in existence long before the year 1 A.D. and were merely carried forward and incorporated in the growing body of legend and in the popular methods of celebrating a very ancient rite. Even the religious significance of Christmas is not ‘modern’; it ante-dates Christianity by many thousands of years. Long before there were printed calendars with Dec. 25th marked in clear red figures, the race of men watched the great clock of the heavens and celebrated a religious festival at the time of the winter solstice. At that time of the year, the Northern races rejoiced that the sun had ceased to decline and was reborn. The long period of ever-shortening days had ended; the sun had turned in its course and soon would come again the season of rich, full sunlit days. That symbolic Light was the old returning light of spiritual wisdom brought to mankind by the great messengers, the Saviours. The birth date of the Saviours was always in the dark season of the year in which the physical sun turns and is reborn. Mithra was reported to have been born on the 25th of December; Osiris was said to have been born on the 361st day of the year and Horus on the 362nd. Around each of the Saviours similar legends grew up. They were born of the Virgin; they were sons of the God; their coming was foretold; bright stars gathered at their birth; they were born in lowly places, a stable, a cave or in an underground chamber; sages and wise men were sought and worshipped them. The many stories agree remarkably and the similarity of these with the Christian has been an unpleasant fact which many have refused to face. In the mystical sense, Christmas, the birth of the Christ Child, the God-Man, occurs when deep in the cave of his heart, a man first becomes aware of his true nature and turns back to his Divine Self. It signifies rising to a new level of consciousness; it is literally being born of the Spirit, the inner God; awakening out of the little dream of separateness and beginning to tread the path that leads to freedom and full realization of the vaster consciousness of the Divine. All legends, traditions and customs relating to the physical sun and to the Sun-Gods are but symbols of that inner experience, the awakening to the Self. By whatever name it is called, it is that which happens in the heart of a man or a woman when the dark cycle ends and Light, the Inner Light, is born. From: Theosophy: An Attitude Toward Life and Other Essays (a collection of articles published between 1930-1944) – in The Toronto Theosophical News – kindly sent to us by Heathclyff St. James Deville. This year we celebrate the 40th anniversary of man’s first known landing on the moon. What does Theosophy say about the Moon and its special relationship with our Earth? What if the moon did not exist? Astrophysicist Neil F, Comins of the University of Maine attempted to answer this question recently by examining the close relationship between the earth and the moon and found that the very conditions for life on our beautiful planet are only possible because of the existence of our moon. For example, if the Earth had no moon, our day would be only eight hours long due to the increased speed of its rotation. The rapid rotation of our planet without the moon to slow it down would continually subject us to hurricane-force winds, and because there would be no appreciable tides mixing the building blocks of life in our oceans, life itself might not exist yet, and when life did arrive it would have a very different biology than what we are familiar with today. * [*Comins, Neil F. What if the moon did not exist! Voyages to earth’s that might have been, New York: Harper Collins, 1993] If we are so dependent on the moon for our physical environment, how much more so must this dynamic relationship be on the inner levels of being? Theosophy confirms that indeed this is the case, with one theosophical writer stating: “The relationship of the moon and the earth is so close, so far-reaching, that it affects every atom of the entire body of the earth: more, of every globe of the earth planetary chain as well as of the lunar chain.” [G de Purucker The Fountain-Source of Occultism, page 345]. Scientific writers often refer to the earth and moon as ‘companion planets’ as the moon is one quarter the size of the Earth. Most other planets’ moons, with the exception of Pluto’s moon Charon, are only tiny in comparison to their planet. Whereas the contemporary scientific view of the moon’s formation is that it was formed as the result of the earth being hit by a Mars-sized object (called ‘Theia’ by some scientists) early in its history, spewing out molten rock as a result of the collision into space which quickly congealed into what we now know as the Moon. Theosophy prefers to call the earth/moon system ‘parent and child’ as it teaches that it is rather the earth that is an outgrowth on many planes of being of the energies once manifest on the moon when it was a vibrant, living world – the former incarnation of our planet. Now the moon is a dead world, a planetary corpse, ghostly ‘kama rupa’, or sinister ‘Dweller on the Threshold’, circling around its child, our earth, once every month gradually transferring its energies and lifewaves including humanity to our home planet. According to theosophy, the physical remains of our once parent planet have long since disintegrated into cosmic dust. What we see as the moon in our sky at night is the astral remains of our parent planet, which we can see as a material body because we now exist on the ‘child’ earth, one cosmic sub-plane higher than we did when we lived on the moon chain of globes. We witness the moon’s immense influence on the physical earth with the regular high tides in our oceans twice each day, the precession of the equinoxes, and the transfer of rotational energy from the earth to the moon meaning that the earth slows down 1.5 milliseconds each century and the moon speeds its rotation and moves 3.8 centimeters further away from the earth each year! A series of spacecraft and manned landings have added immeasurably to our understanding of our moon since the Soviet Luna 3 spacecraft gave us our first view of the ‘dark side’ of the moon in 1959, We refer to the ’dark’ side of the Moon only because it was completely unknown until recently. Actually both sides of the moon receive equal amounts of sunlight and darkness, except for the depths of a few craters at the poles which are in permanent darkness. The first manned landing to the moon was 40 years ago on July 20th, 1969 [do you remember what you were doing that historic day?] when US astronaut, Neil Armstrong, guided his tiny ‘Eagle’ lander to the desolate surface of the Sea of Tranquility on the nearside of the moon. The last manned landing was in December 1972. During these manned landings, astronauts collected samples of moon rocks and dust so that the moon is the only extra-terrestrial body from which samples have been successfully collected and returned to the earth. Earthlings now have no less than 382 kilograms of rock and dust samples from the moon dated to 3 to 4.6 billion years old giving invaluable insights into the early history of the earth and the solar system. In the summer of 1994 the moon was extensively mapped by the US Clementine spacecraft that successfully orbited the moon for 71 days. Clementine made a topographical map of the entire moon for the first time, giving us a more complete such map than we have for the earth! Intriguingly, Clementine included an improvised radar experiment which uncovered evidence that perhaps as much as 10 billion tons of water ice exists in the permanently shadowed areas near the lunar South Pole. NASA spacecraft Lunar Prospector went into polar orbit of the moon in 1998 confirming the detection of water ice near the south pole of the moon and additional deposits deep in the craters of the North Pole. Since then a variety of spacecraft have found evidence that there may be as much as 32 ounces per one ton of top layer of the Moon’s surface, though we do not know this for certain. These potential reservoirs of water may be useful to future manned expeditions for drinking water, production of fuel and insulation of living quarters from harmful radiation from the sun. Though water ice may exist on the moon in isolated pockets at the poles, modern science confirms the moon is a desolate environment from a human perspective – truly a dead world. The moon has no atmosphere and no global magnetic field, and unlike the earth, the moon’s interior is no longer active. The pictures from the Apollo landers show a mostly cold, desert-like grey landscape of heavily cratered highlands and relatively smooth and younger ‘maria’, or plains. These are the dark [basaltic maria] and bright areas [highlands] that you can see making up the face of the ‘Man in the Moon’ when you look up at the moon from your backyard. The maria or plains areas, which comprise about 16% of the moon’s surface, are, from a scientific point of view, actually the remains of huge impact craters where meteors have struck the moon with terrific force. Later these craters were flooded with molten rock created by the force of the explosive impacts. For some reason that is unknown, there are more maria, and the moon’s crust is much thinner on the side of the moon facing the earth, but the largest crater in the entire solar system at 2,600 kms diameter and 12 kms deep, the South Pole Aitken Basin, is on the dark side. Most of the surface of the moon is covered with ‘regolith’, a mixture of fine dust and rocky debris resulting from the continuous meteor and meteorite impacts over billions of years as the moon has no atmosphere to absorb the shock of such ‘shooting stars’ as we call them on the earth. Theosophy has a different view of the function of these craters which typify our picture of the surface of the moon. We are taught that the moon is the corpse, ‘kama rupa’, or even the earth’s dread ‘Dweller on the Threshold’, once a living planet, the parent of our earth. Being a dead body, similar on a massive scale to any dead animal body we can think of on earth, the moon has been undergoing decay and disintegration for billions of years. Some of the appearances on the surface, particularly the craters, may be due to the gradual disintegration of the body of the moon with internal decay welling up to the surface through craters like pustules on a decaying animal body, but escaping earthward in the case of the moon. We are further taught that the moon will disintegrate into the ‘blue ether’ by the time of the earth’s seventh planetary round [we are currently just over half way through the fourth] millions of years into the future. Interestingly enough, modern science has found the crust of the moon facing the earth is much thinner than on the dark side, and that the moon’s centre of gravity is displaced 2 kms towards the earth indicating the tremendous gravitational and ‘psychomagnetic’ attraction of the child-earth feeding on the remains of its parent world. Also interesting are statements by theosophical teacher G de Purucker in 1934 indicating his speculation that the surface of the moon would prevent easy travel because it is disintegrating into dust. [Fountain-Source of Occultism, page 342] In fact, one of the greatest hazards to past and future manned expeditions to the moon is the ubiquitous finely ground, glassy, sharp-edged moon dust which makes it difficult for astronauts to move around on the surface, penetrates into clothing and habitats, and even has given some astronauts a moon version of hayfever, though apparently according to Gene Cernan, Apollo 17 astronaut, it has a nice taste and a smell not unlike gunpowder!! What is the nature of this influence which streams forth from the moon to the earth every nanosecond? In religious traditions around the world, the moon is called the Lord and Giver of Life, and paradoxically, also the producer of death. In many cultures it is pictured as a nurturing feminine deity governing both birth and growth – the Queen of the Night in Celtic culture. Selene, Artemis, Diana, Juna, Hecate or Isis in the Mediterranean. Some cultures, such as the Hindu and Scandinavian, view the lunar influence as masculine, however, all lunar deities have two aspects – supernal and infernal, spiritual and maternal, good and evil. The influences flowing from the moon have ever been known and utilized by magicians and sorcerers, from the familiar Disney portrayal of the ‘sorcerers apprentice’ with stars and moons on his pointed hat, to the witchdoctors or ‘nganga’ of central Africa whose very name means ‘the moon’! There are times in the solar universe, when humanity generally outside of the context of the initiatory cycle, is subjected to greater concentrations of the moon’s energies. Eclipses of the moon and the sun are such times when we are subject to the combined effect of the sun and moon, or earth and moon pulling together upon the earth or moon. This gravitational and ‘psychomagnetic’ pull, produces great surges of vital energy between the respective bodies at those times. One theosophical writer said of eclipses: “Eclipses can be quite unhealthy for the human race, because at such times there is often an added stimulus to man’s emotional and passional nature.” [L. Gordon Plummer and Charles J. Ryan Star habits and orbits: astronomy for theosophical students, page 89] Ancient cultures knew of this connection and used to consider eclipses as a bad omen, a sign of catastrophes to come. For example, in Japan they used to cover wells and potteries thinking that the weather would be poisoned. Indians used to shut down their houses in fear of harmful moonlight. Scandinavians thought that diseases would float in the air during the solar eclipse. Babylonians assumed that catastrophes and diseases would come under a solar or lunar eclipse, so they made sure to lie down with their faces to the ground to avoid foul influences if caught out of doors. Each nation faced this phenomenon in its own way. Eskimos used to sacrifice animals to satisfy their gods. Mexican Aztec Indians sacrificed human beings to convince the moon to return and the sun to appear. In Korea, Japan and China, where they thought that dragons eat the moon during eclipses, people used to gather to make loud noises to scare the dragons and stop them from eating their meal! All these bizarre customs are faint remembrances of actual facts of nature to which theosophical writers refer. The sacred planets, including this, to us, terrible place, are ‘sacred’ to us because they, as conscious entities, cooperate in the building and subsequent evolutionary history of the earth. Curiously enough, theosophical teachers tell us that, although the dread plant of death is more grossly material than the earth, as a conscious entity it oversees the building of Globe ‘G’, or the most spiritually advanced of the seven ‘rupa’ globes of the earth chain of globes, we at present being on Globe D, our beautiful earth. [See G de Purucker Fundamentals of the Esoteric Philosophy, page 548] In the far distant future when Globe G is our home, the moon and its influences will have disintegrated into atomic stellar dust, and this secret planet will then become the satellite of the earth in place of the moon, but that planet will not be a true moon, but a mere satellite. [G de Purucker Fountain Source of Occultism, page 526] For theosophy confirms that each planet in our solar system has but only one true moon in the inner sense, and those planets with many moons, such as Jupiter with 63 known moons and Saturn with 34, have gravitationally captured the others from the greater environment of the solar system. 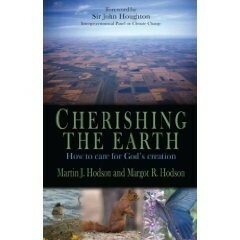 Cherishing the Earth: How to care for God’s Creation, by Martin J. Hodson and Margot R. Hodson, Monarch Books UK, 2008 254 pp. Having read other books on how best we may deal with, and relate to, the Creation as portrayed in the Christian Bible, I was pleasantly surprised with this book. Usually, I have read how we are somehow “Above” or are a “Separate” creation to that of the Creation in toto. However, this husband and wife team – Martin is a scientist and Margot is a theologian – have written a book that does not devalue us as humans but rather, at least to me, have elevated the rest of the Created world, including the animals, to a level where we are on the same level. The book is written from each author’s own field of expertise so we learn what are the Scientific and Scriptural arguments to each issue discussed. This style of writing is a truly remarkable one as we learn that the two schools can, and do, compliment one another. This book looks at Scripture, how it has been interpreted down through history and, by extension, what this means for the Creation today, in terms of environmental impact by humans. There are many useful facts here and a lot of quotes from past teachers, to help us reflect deeper on our personal beliefs in relation to the Natural World. For instance, there is a citation by the Jewish philosopher Moses Maimonides (1135-1204) from his THE GUIDE FOR THE PERPLEXED (1190), where he wrote that “The universe does not exist for man’s sake but each being exists for its own sake, and not because of some other thing.” This view is very similar to that taught under the philosophy of Panpsychism. There are many Notes at the rear of the book itself. I was so taken in by the facts and the biblical references that I found myself constantly having to refer to these Notes. Personally, I felt these may have been better served as page footnotes, this being my only criticism of an otherwise fascinating and spiritually uplifting book – reviewed by Heathclyff St. James Deville. Catching the Light: the entwined history of light and mind, by Arthur Zajonc, Oxford University Press, 1995. God is Back: how the global rise of faith is changing the world, by John Micklethwait and Adrian Woldridge, Pengiun Books, 2009. In the introduction of this 400 page book, the reader is told that it was written by an American Roman Catholic and an Atheist. The authors state “no doubt some of the holy warriors on both sides will uncover examples of bias. Our hope, however, is that whatever biases we bring have cancelled each other out.” At least there is acknowledgement of bias in this book! The book is written in 4 parts. Part 1: why Europe and America have evolved in such different ways over the past 20 or 30 years. Part 2: examines the way religion is thriving in today’s America as an economic force, an intellectual catalyst and a political influence. Part 3: how America is exporting its version of religion. Part 4: looks at the spread of wars of religion from the battles for people’s souls to cultural wars, terrorism, and religiously-fuelled violence of all kinds. In conclusion the authors look at the best formulae for avoiding future conflict. A brief note recommending the book on its cover from G.Hodgson, independent observer claims: “an immensely knowledgeable description of the history and beliefs of modern American conservatism”. Whilst agreeing with this evaluation, I feel that the contents of this book, which devotes 75% of its pages to the development of religious thought in America and its export overseas, does not come to terms with the title of the book. ‘God is Back’ is an interesting and informative read, particularly the concluding section (Part 4) - even if the reader is not an American Roman Catholic or Athiest! – reviewed by Tony Downey. One day a member of the parish was in the opportunity shop attached to the church, the House of God. The parishioners liked to think of the shop as the final washing-up place for the flotsam and jetsam of the known universe. It being nearly closing time the guardians of the check-out were getting restless, so the parishioner quickly grabbed two pieces of fabric, bought them and dashed home, thereupon examining the pieces with pride and wondering what to make of them. One piece was bright yellow, a huge rectangle, but spoiled by a big round hole in its very centre; it needed to be cut up, if it was to be used for a quilt for the poor. Earlier, the parishioner had been watching some Peruvian musicians who wore ponchos, like rectangular tabards with a head-hole in the middle; the parishioner thought the fabric might have been a dress-up made by a mother for a young parishioner, and tried on the yellow, Peruvian, garment. The inside of the fabric was plain yellow, the outer surface was painted with glowing, interpenetrating patches toning from bright orange to gold to pale lemon, like the surface of the Sun, and the parishioner thought of Louis the Sun King, and that the Peruvians once worshipped the Sun, and that the Inca had been the Sun’s personification upon this earth. The garment of the Sun of the Sun, in an Op Shop! How very like life itself, when at the beginning of time, seeds of life from the central sun of the sun, sent forth into manifestation, descended into matter, and brought forth this inner fire through successive incarnations in the crucible of life, to re-become that which it had once owned, but now in full self-conscious godhood. Evolving, initiating, through the centre of itself, to its full potential. But the parishioner was not yet ready to own this great glory, and made the fabric into a blanket for a homeless person, believing the life-atoms enclosed in its form would likewise go through the cycle of descent and re-ascent and ‘orphaned humanity’ could indeed come to find a home to its former home in the House of God, the vistas it viewed at the beginning of time, re-discovered. Then, as in the 10th of the Zen Buddhist Ox-herding Pictures, the man has become at one with his tamed godhood, and returns to live among men, clad in rags, and hiding his true nature except for those who know. SOME SOBERING STATISTICS ON THE WORLD DRUG TRADE: an interesting reflection on this ‘Kali Yuga’ [Black Age] period in which we live are these recent statistics on the world trade in illegal drugs: the annual global value of organised crime is estimated at $US1.1 trillion of which the drug trade accounts for $US400 billion. The trade in illegal drugs is therefore worth more than the oil and arms industries together! Money laundering from the illegal drug trade accounts for 2% of the world GDP and some countries are supported wholly or partly on the illicit drug trade such as Bolivia, Columbia, and Afghanistan. Clearly there is plenty of work for theosophists and people of good will to do to combat such evils retarding the spiritual progress of humanity in our time. His first owner also did not think that he could survive and he was thinking of 'putting him to sleep'. But then, his present owner, Jude Stringfellow, met him and wanted to take care of him. She became determined to teach and train this little dog to walk by himself. She named him 'Faith'. Even the other dog at home encouraged him to walk. Amazingly, only after 6 months, like a miracle, Faith learned to balance on his hind legs and to jump to move forward. After further training in the snow, he could now walk like a human being. Faith loves to walk around now. No matter where he goes, he attracts people to him. He is fast becoming famous on the international scene and has appeared on various newspapers and TV shows. There is now a book entitled 'With a Little Faith' being published about him. He was even considered to appear in one of Harry Potter movies. His present owner, Jude Stringfellow, has given up her teaching post and plans to take him around the world to preach that even without a perfect body, one can have a perfect soul'. I hope this message will bring fresh new ways of thinking to everyone and that everyone will appreciate and be thankful for each beautiful day. Faith is the continual demonstration of the strength and wonder of life. 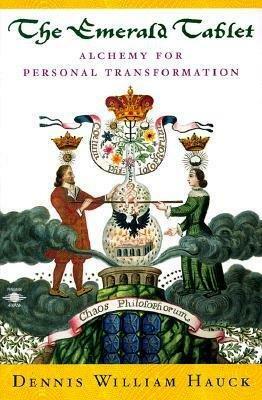 The version below is taken from the book, THE EMERALD TABLET : Alchemy for Personal Transformation by Dennis William Hauck, Penguin Compass 1999 p.45, as shown here. Our International Leader is Randell C. Grubb. Donations: our Society is a voluntary organization that operates purely on the generosity of our members and friends. We would like to acknowledge the donation of a fridge for our rooms from Mr William Reid, Proprietor of Chum Creek General Store in Healesville and the ongoing donation of library books by JR Medical Books of Bundoora. Please contact our Treasurer, Paul Rooke, at: paul@anrooke.com.au, or at our address given at the end of this newsletter if you can help, and many thanks to all those friends who have contributed already to the work of our Society. The Smaragdine or Emerald Tablet was discovered in the tomb of Hermes, in a cave near Hebron, according to Albertus Magnus (1193-1280), by Alexander the Great, being “put on display” in Heliopolis, Egypt in 330 BC. It was written in Phoenician and translated into Greek by a panel of priests and scholars under the direction of Alexander. In truth, without deceit, certain and most veritable. Separate the Earth from Fire, the Subtle from the Gross, gently and with great Ingenuity. It rises from the Earth to heaven and descends again to Earth, thereby combining with Itself the powers of both the Above and the Below.